It is completely possible to do a baby storytime without reading a single book. 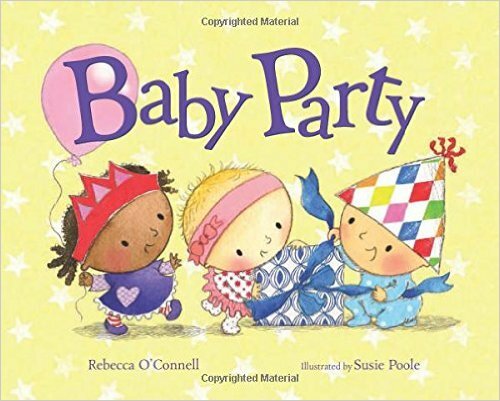 But I like to read one book at each session as a way to promote the library’s collection, model to caregivers dialogic reading, and talk to caregivers about how to choose books for babies. The Canadian Children’s Book Centre and Zero to Three have great talking points to share with caregivers that can help them feel confident and comfortable selecting books and reading to their babies. Now on to the books! I’m in love with everything Il Sung Na writes and illustrates. 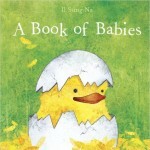 This book has big, bright illustrations of animal babies with short descriptive sentences. 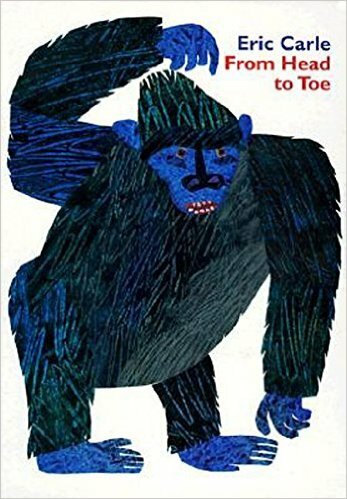 The illustrations have a touch of humour and provide ample opportunities to model asking questions and talking about what we see. 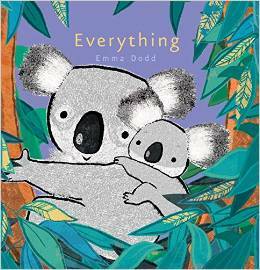 This book made my 2014 Favourite Storytime Picture Books list and it’s still a babytime favourite. 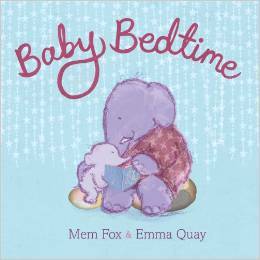 When I read this book I encourage caregivers to mimic the mama elephant, and we talk about using books as part of a bedtime routine. If you loved O’Connell’s book, Baby Parade, then you have to get this new release! 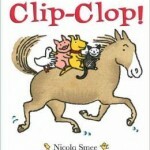 When I read it in storytime we practiced the skill of clapping. I love that it includes a diverse cast of babies and is filled with different shapes. In addition to clapping you can encourage caregivers to draw the shapes on baby’s hands. 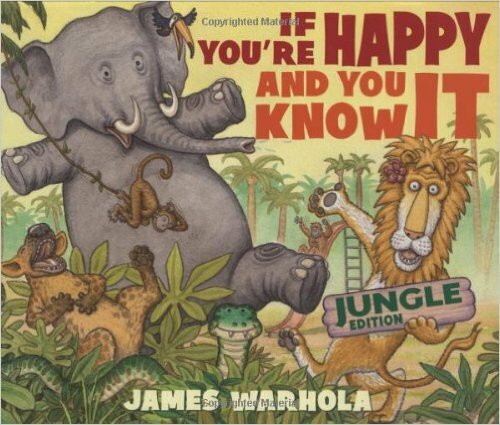 I learned about this book from my colleague Jane, and her assessment is spot on. The illustrations are gorgeous, and when I used this book in babytime we made the animal noises featured on each page as a way to make it interactive. 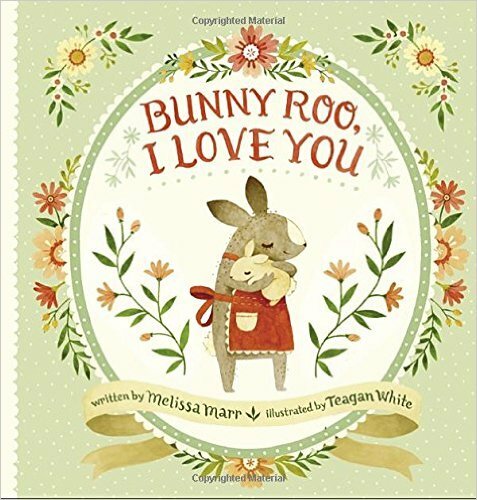 I love sharing books that help caregivers develop a loving relationship with baby, and this one hits the mark. 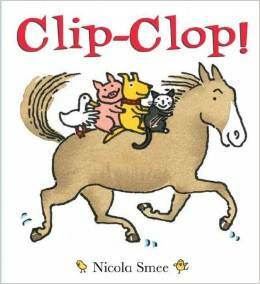 This book is traditionally used in a toddler or preschool storytime, but I simply ask caregivers to plop baby on their lap and we clip clop away. Babies get to experience bouncing while we say the refrain together, and they can be dipped to the side when the animals fall off. It’s a great way to show caregivers how to adapt picture books to meet their baby’s developmental stage. This book is a bit small, so I would recommend it for small groups. It starts with the premise, “which part do I love the best?” and precedes to go through different body parts. A great chance for caregivers to identify the parts of baby’s face. It’s told in sweet rhyming sentences that flow beautifully. An old standby for me. Because there’s basically only one word in this book, caregivers can read it with you. 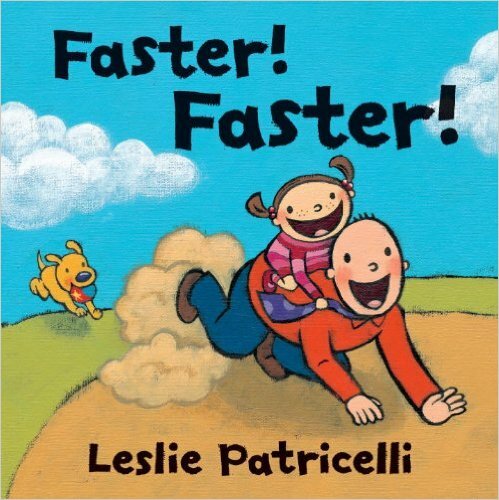 We practice bouncing babies very slowly, and then faster and faster as we read. I love when caregivers realize the different animals are actually the dad – always a delight! I wish this book were bigger, but it still doesn’t stop me from sharing it in babytime. The rhythm of the text mimics a fiesta and I chant the words rather than say them. 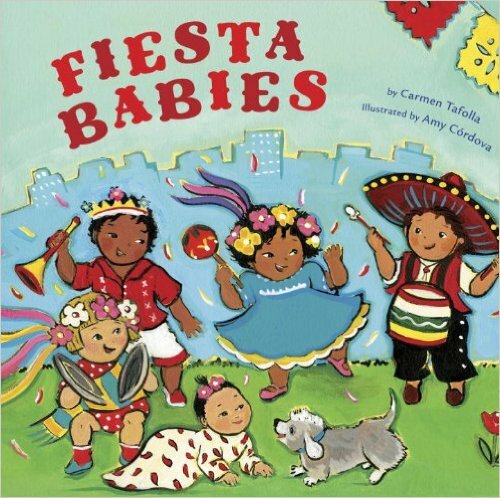 A beautiful introduction to Latino culture that encourages singing, dancing, and celebration. It’s Eric Carle at his best. Repetition, movement, and bright, colourful pictures. When I read the refrain, “Can you?” I ask caregivers to help their baby make the actions in the book. A great introduction to the “I can do it!” attitude their babies will soon sport as toddlers. Another book to bounce to! 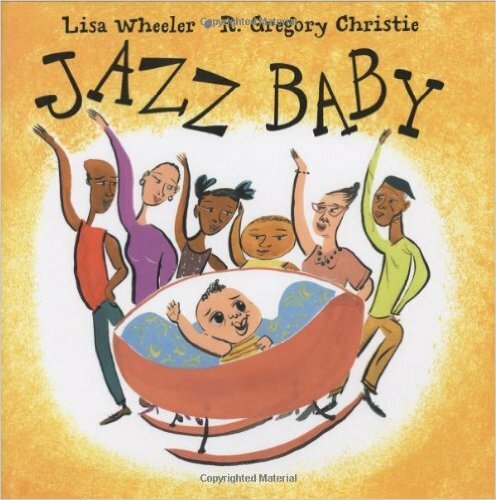 I think it might be based off of the song, “This is the Way the Ladies Ride.” As I read this book, we practice bouncing babies to different rhythms and at different speeds. I love how big McDonnell’s books are too – the images really travel. Great use of repetition and sounds. Babies love looking at pictures of other babies. 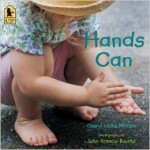 This book features a diverse cast of little ones using their hands to clap, say hello, and touch things. Caregivers can model how to do these things as we read. It’s also a great segue to talking about the skill of pinching and grasping which helps develop hand and finger muscles they will need later when they learn to write. 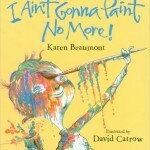 I love singing this book and having caregivers tickle babies based on the different parts of the body the child paints. Most of the time I can get the adults to sing with me. 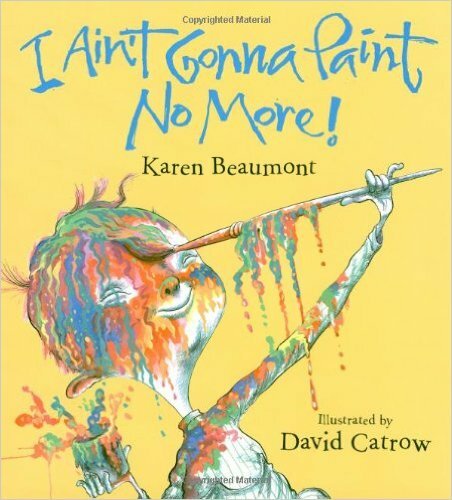 I’d love to buy a set of giant paintbrushes and let the babies play with them after reading this book. 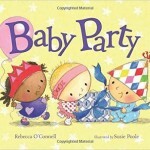 So many good babytime books by Mary Murphy! Make sure to also check out A Kiss Like This, Say Hello Like This!, and I Like it When. I chose to focus on this one because I can talk to caregivers about choosing books for newborns with graphic black-and-white illustrations that are good for developing eyesight. We also get to give lots of kisses! There are so many books to sing – seriously, check out our board full of them! This one stands out to me because the pages are nice and big, and it has actions like clap your hands, flap your wings, beat your chest, and blink your eyes. I like to model to caregivers how to take a familiar song and change it up. A toddler classic can easily be turned into a babytime gem. Just have the caregivers wiggle, jump, and dance with their babies! I love showing adults that kid’s books can be fun and silly, and Jan Thomas does that the best. I have never not gotten some laughs after reading this book in babytime. 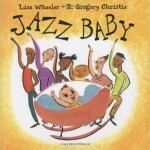 I love reading this book in babytime because it’s got such great rhythm. Because it’s a longer book, I’d use it at the beginning of storytime. The entire family gets involved in the singing and dancing which is a wonderful reflection of community. This book is so much fun to use with babies! 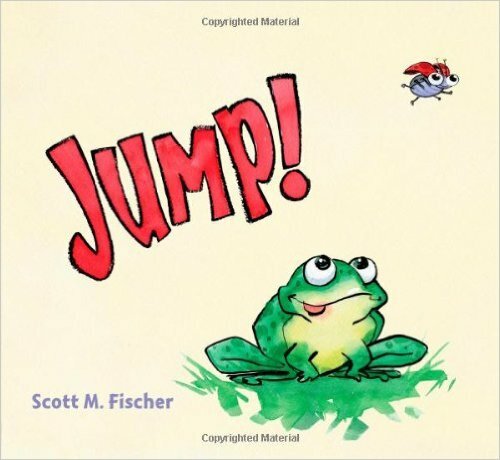 On the pages that say, “Jump!” all the caregivers lift baby into the air and say it with me. If you’ve got some older babies in the crowd, you can encourage them to practice jumping themselves and point out the sense of accomplishment that comes even if they don’t clear the ground. This new release would work great for babies or toddlers. Simple sentences lead caregivers in interacting with their babies. You can even listen to a song version. I love the bright, colourful pictures. This book hits home because many caregivers have experienced the “drop/throw object repeatedly on the floor” game that babies and toddlers love to play. When I read it at storytime I have the caregivers hold baby in their lap. 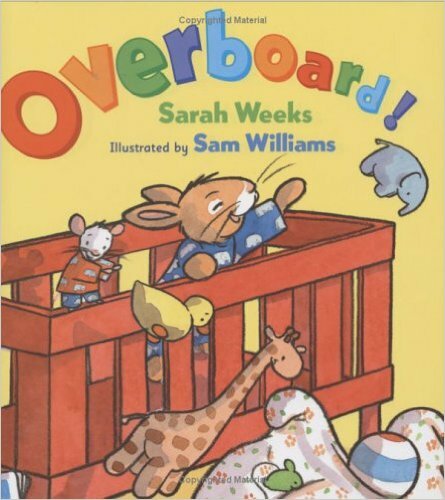 When we say “overboard!” we dip babies to the side as if they are the ones falling out. I pass out scarves before reading this book. 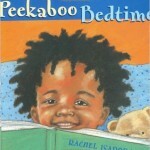 Then we play peekaboo with the babies as we read, mimicking the surprise of the child in the book. I tell caregivers that peekaboo games are easy to recreate with blankets or washcloths at home. 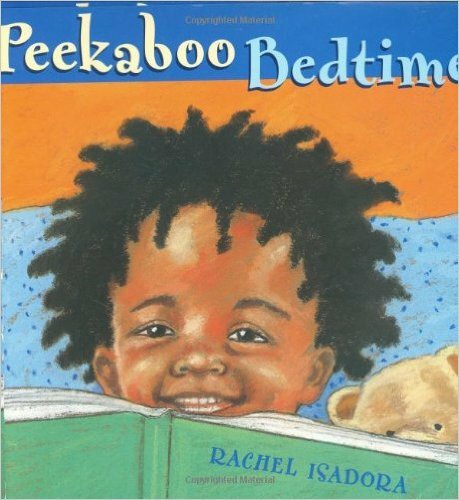 Isadora has a companion book called Peekaboo Morning that’s just as good. Another favourite peekaboo book. You can use scarves with this one too, but the early literacy tip I share is about animal sounds. Even though they aren’t real words they still help babies learn the sounds of our language. All the caregivers help me out with the sounds when I read this one. 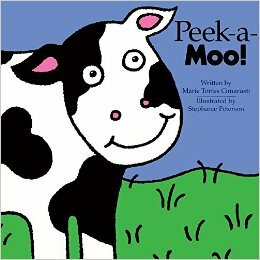 Cimarusti has a whole series – Peek-a-Pet!, Peek-a-Choo-Choo!, Peek-a-Zoo!, Peek-a-Bloom!, and Peek-a-Booo!. This entire post could be made of Karen Katz books, but this one is one of my favourites. You get to count, caregivers get to tickle babies all over, and the illustrations are super cute. 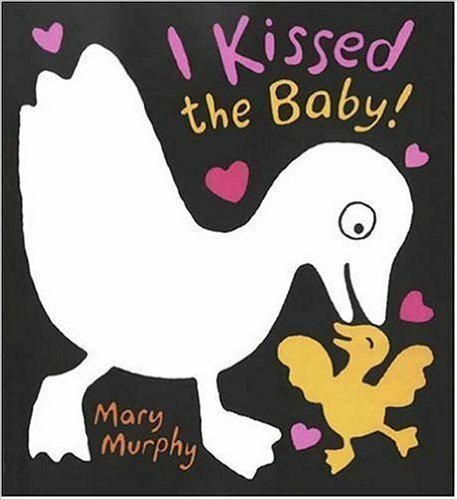 My other favourite Katz books for babytime are The Babies on the Bus and Counting Kisses. It’s O’Connell’s second appearance on the list! I love reading this one in babytime because of the repetition. 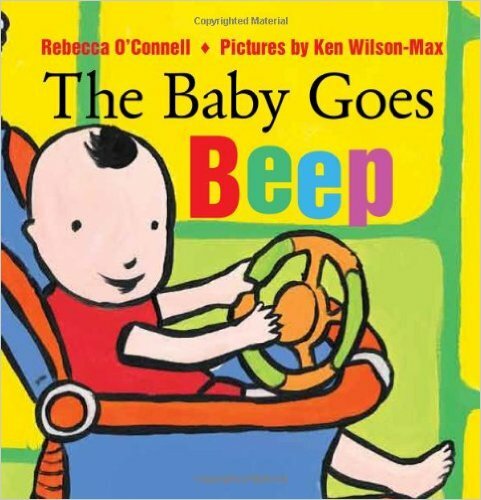 I’ll say the first part – “The baby goes beep” and then we all say the second part together, “The baby goes beep, beep, beep, beep.” The vocabulary is great too – boom, flip, splash, smooch. 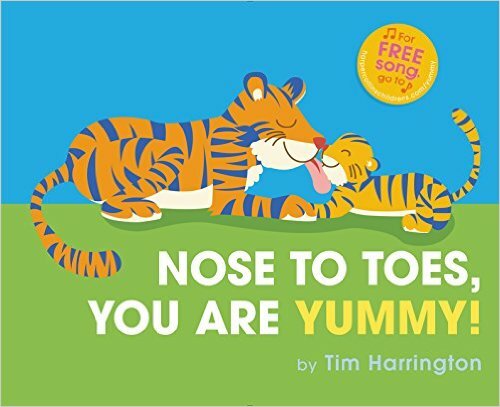 This big board book is perfect for introducing new sounds to babies. Each vehicle is given a sound that I have the caregivers say with me. I like that the sounds aren’t ones I’d think of myself. 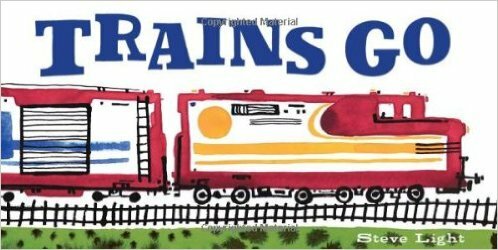 For example, the diesel train goes “zooosh, zooosh, zooosh.” Because it’s a board book I found caregivers much more likely to take it home with them after storytime. There’s a whole bunch in this series like Trucks Go, Boats Go, Planes Go, and Diggers Go. Like Carle’s From Head to Toe, this book has an interactive question on each page that encourages caregivers to play with their babies. The rhymes flow well and the images are bright and cheery. Lots of room for talking about the pictures if caregivers want to spend more time with the book after storytime. 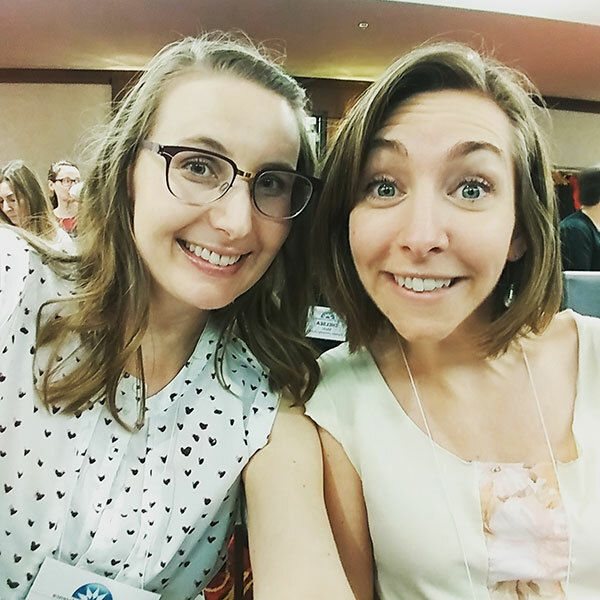 If you’re looking for even more to read in babytime, make sure to check out Abby the Librarian’s series and The Show Me Librarian’s survey results. What are your favourite books to read in baby storytime? Let me know in the comments! Thanks for the great post! I see some of my tried and true favorites on here and several I can’t wait to try with my babies! I am loving this whole series. I am loving “Say Hello” by Linda Davick. 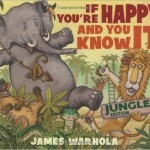 Perfect peppy picture book to open up a story time with. Large colourful illustrations demonstrate many fun ways to say hello. Hi Kim! I’ve had that book on my to-read list for storytimes, so I’m glad it’s a keeper. 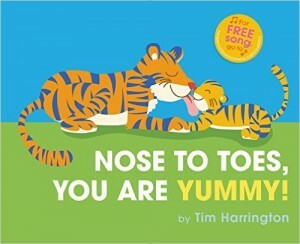 Saying hello is one of the first social skills babies learn, so I love books that help them practice. Just subscribed to your Pinterest board! Thanks so much for sharing! 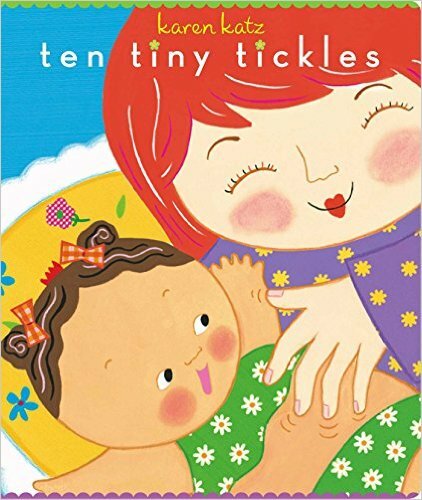 One of my new favourites is “Baby Love” by Angela DiTerlizzi – it’s just so sweet! It also lends itself well to incorporating various actions relating to the text. So many favourites! I often use the same picture books in my baby and family times (another favourite of mine is the Cat the Cat series by Mo Willems), with some simple adjustments. I like showing parents examples of how they can use the same materials in different ways as their babies grow. If you buy or borrow great picture books, you can love them and share them for years! So true! I love that strategy. 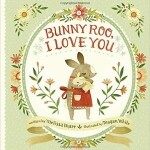 I’m loving all the picture books you review on your blog, so thank you for the recommendations! I’m curious about your method of reading a board book to your babies. Since the book is pretty small and the illustrations may be hard for everyone to see, do you still hold up the book as you read and show the pictures as you go? I’ve been using big books and laying them on the floor as I read and although the book is large and pictures are big it still doesn’t grab the attention of most of the babies that attend my BabyTime. I then pass out a board book (same title to all) to caregivers and we try to read the book together. But this isn’t always the best way to “read” the book because some will linger over a picture and others will forge ahead. I’m just wondering if you’ve got any suggestions? 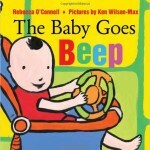 We used some grant money to purchase a few different title sets of 16 copies of the same board book. 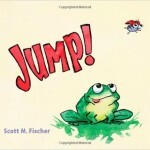 When it is time to read the story, we pass out the board books to each mom/caregiver. Baby sits with her and can easily see the pictures. We read the book together, in chorus, once and then they can read the book just the two of them at their own pace. I love the idea of reading it once together and once at their own pace. Thanks so much for sharing! Thanks Lindsey for your comments. It was really helpful to me when you emphasized that when reading a story to babies, that it’s the parent that need to be engaged. I’m going to re-adjust how I do things at BabyTime and use a lot of your suggestions! 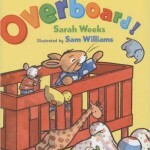 Thanks for introducing me to “Overboard!” It has been a hit at baby storytime for me, especially when I break out the scarves and encourage the caregivers to throw them up in the air each time we say, “Overboard!” It gives the babies a fun surprise and something colorful to track with their eyes as it falls to the ground. Thanks for your list of books. I’m going into my 3rd year of doing an Infant Rhyme Time and found your site mid year 2. It has really helped me to develop my program into what I want it to be. Thank you so much. 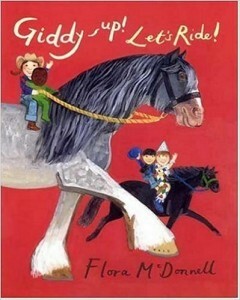 This past year my favorite go to book has been “Little You” by Richard Van Camp illustrations by Julie Flett. 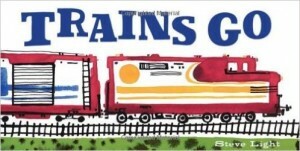 It’s a simple board book but I love the message and I love any illustrations done by Julie Flett.